3d printer accessories are those items that add to your 3D printing experience. While some may be sold by the companies that made your 3D printer, most accessories are left to the consumer to download . In this blog I’ll cover the accessories and tools that are needed for a great printing experience. 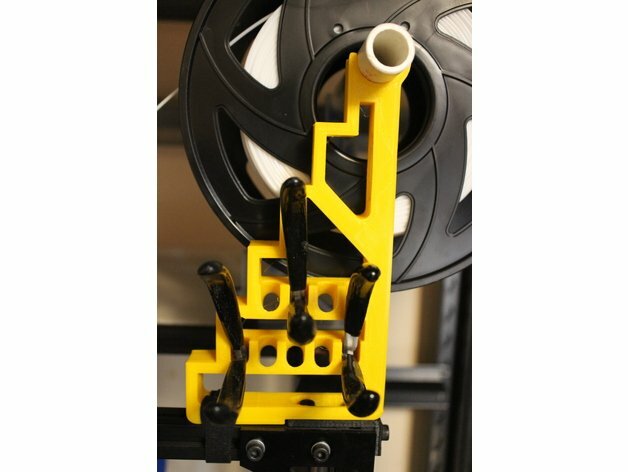 Most 3D printers on the market come with a simple arm-type spool holder that is designed to hold a 0.5-1 kg filament spool. While this is fine to start printing with, its better to have a larger spool holder. Bulk filament can be cheaper, and larger spools will let you print larger files. You can design your own or download user made holders for your printer. You can make yours with skateboard bearings that you salvage from old fidget spinners, or scrap PVC pipes. Make sure to give yourself enough space to put a large spool on top of or next to your 3D printer. 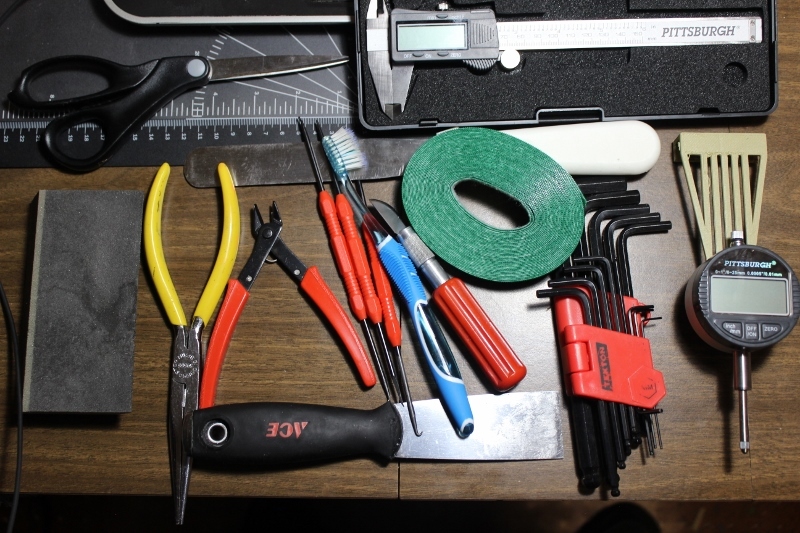 Some companies like Lulzbot will provide a basic toolkit, while other DIY kits may not. Check with each company before buying the printer. For tools look around your garage before you spend any money. Here are the tools I found help with 3D printing. Flush / wire cutters: These trim flash off the surface of the print. Keep them close to your filament in case the spool tangles mid print. Needle Nose Pliers: Great for pulling broken bits of filament out of the toolhead. Toothbrush: Great for cleaning toolheads, herringbone gears, and messy build plates. Soldering picks: Picks can clean flash off pints, help with difficult prints, and reach for those M3 nuts that fall into a dark place. Hobby knife: For trimming brims and burs off prints. Flat paint scraper / frosting knife: These knives are essential for scraping prints off the build plate. Allen Keys: Most 3D printers use metric cap socket screws. Make sure to keep a close watch on your 2.5 mm and 3 mm key. Digital Caliper / Dial indicator: Measuring everything will become an obsessive part of 3d printing. Scissors: Cutting open filament bags will wear out a hobby knife. 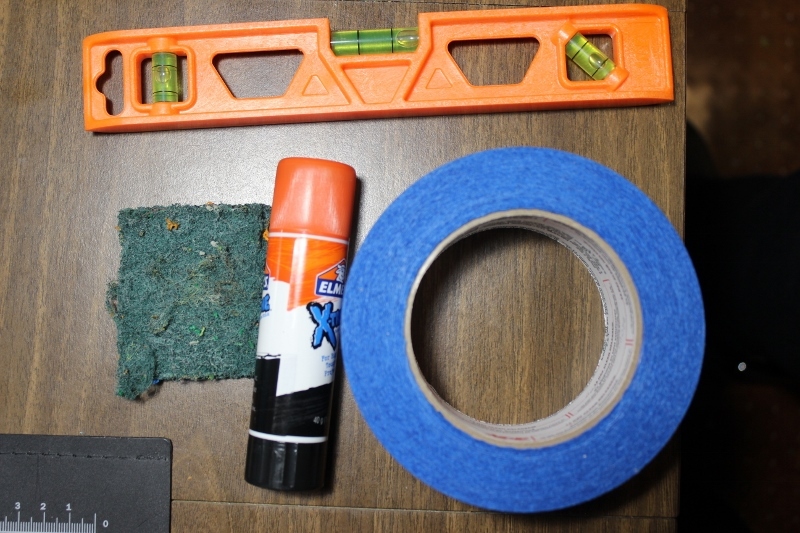 Sanding sponges / emery boards: A coarse sanding sponge will clear off marks from supports, while fine emery boards will help with sharp edges on your prints. Spare SD memory cards: It is easy to cram a card with lots of files that you may not print. Hook & loop cable holders: They are useful for all semi-permanent attachments to your printer. You can also use them for filament guides and holding spool holders to your printer. Velcro plant and garden ties were designed for garden applications, but they are great for strapping cables to frames. I use them for holding my spool holders to the frame of my printer and cable management. A tool holder is a great way to keep your needed tools in one place. Tool holder designed for to bolt to the rails. Design and photo by Author. You can start with any cup or shoebox you have at home. After a while you can have fun designing your own for your printer. Always keep a wire cutter close to the printer in case you have to cut a tangled filament spool mid print. Blue painters tape: This is less messy then duck tape and can be a great build plate material. Scotch pad: If your printer does not have a nozzle cleaner, you can use a scotch pad to scrape caramelized filament off the nozzle. School Glue Stick: Also know as PVA glue, glue sticks are a great way to treat the build plate for PETG, Nylon and PLA. Filament dry box: Keeping your filament dry with desiccant in a airtight box will extend the life of your filament. You can buy desiccant from a shipping supply company, or use a closet dehumidifier to dry out a whole box of filaments. Filament can get dusty in storage, and that dust can end up burning and clogging inside your hotend and nozzel. 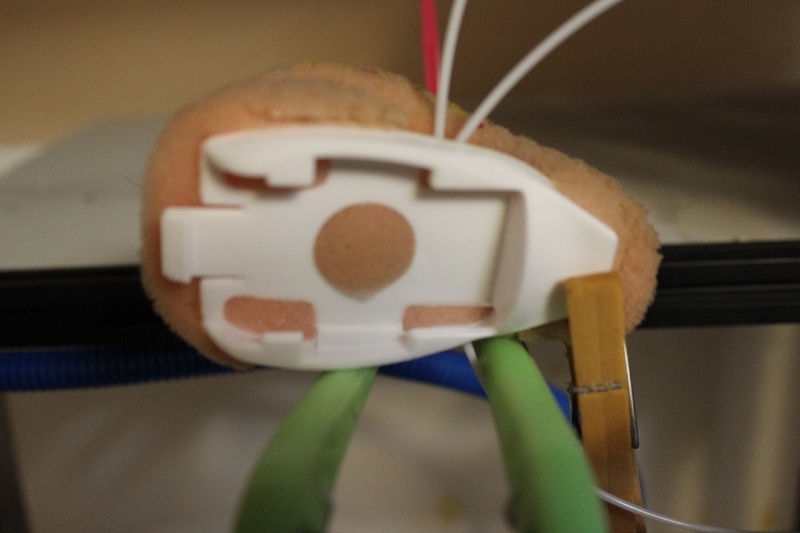 Flexible filaments like TPU / TPE’s also have a tendency to stick inside hotends. I found that using a cheep foam sponge clipped to the filament works great. For flexible filaments, a drop of olive oil on the sponge works great for oiling the filament.